Printing Material: It comes printed on the enhanced material of Teslin to ensure that our id cards will pass the sophisticated bending test used by bouncers as the first step to validation of your id. Template in use: The state has an extension for the real identification act compliance. We are implanting your information on a valid design which remains valid for the next four years till 2022. 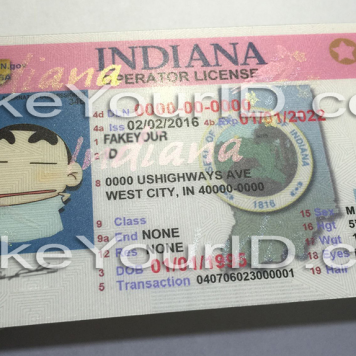 A revamped version of the template for id cards of this state is now available. 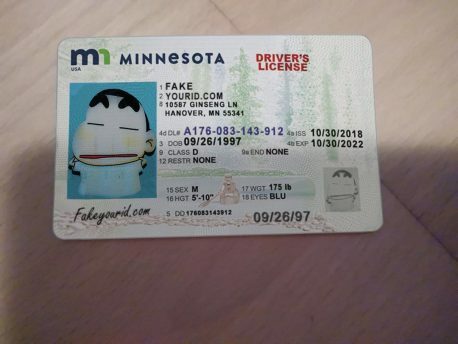 You can select “Minnesota (NEW)” for the updated ID or “Minnesota (OLD)” for the previous one. The sample of our current shows in the images. 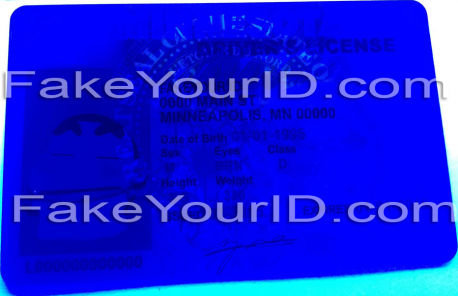 The newer ID has “Walleye” image embossed into the card stock and is visible under light. A boat & intricate background of trees in the updated template. 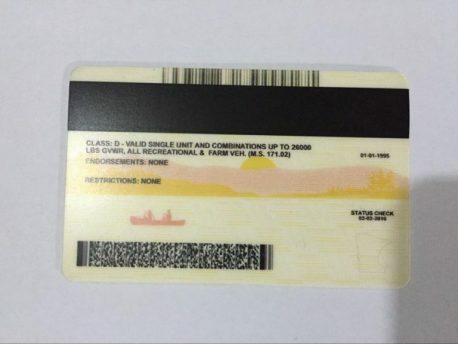 On the front of the card, an illustration of a diver appears to float above or drop below the surface of the license as the viewing angle changes. A subtle line pattern implants into the front photo of the cardholder. 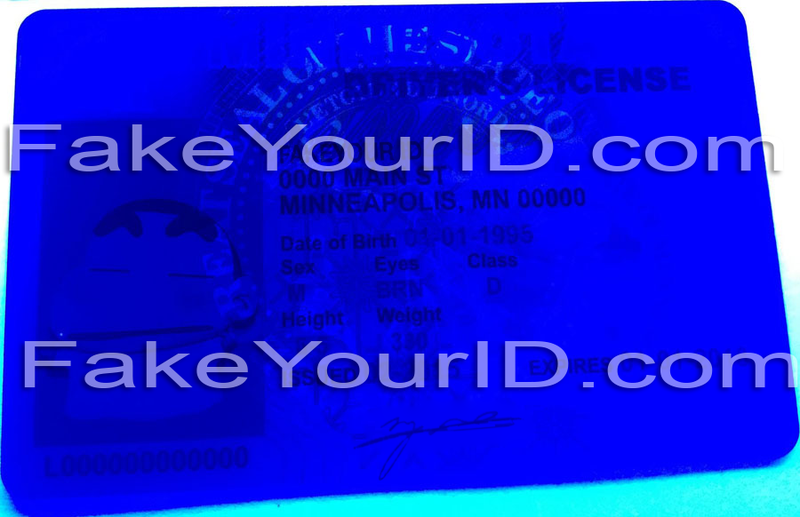 A holographic illustration of the state seal is in UV ink and only visible under ultraviolet light. 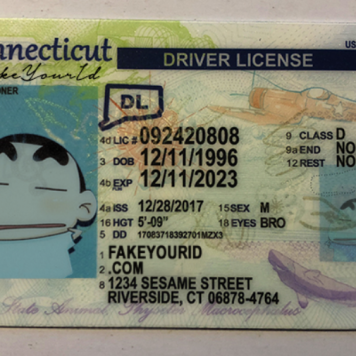 A rainbow printing pattern is present on this id. The back of the card has barcodes and a magnetic strip which makes it scannable when processed into scanning devices. Minnesota ranks third highest for consumption of alcohol binge drinking across the states. 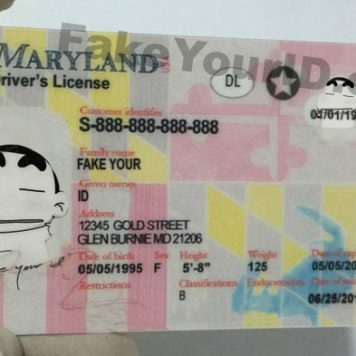 The bars and stores in this state are enhancing their ID checking capabilities to prevent underaged teens from buying liquor. Hence, the use of bogus identity cards is on the rise, and this particular license has a good demand not only in but out of state as well. 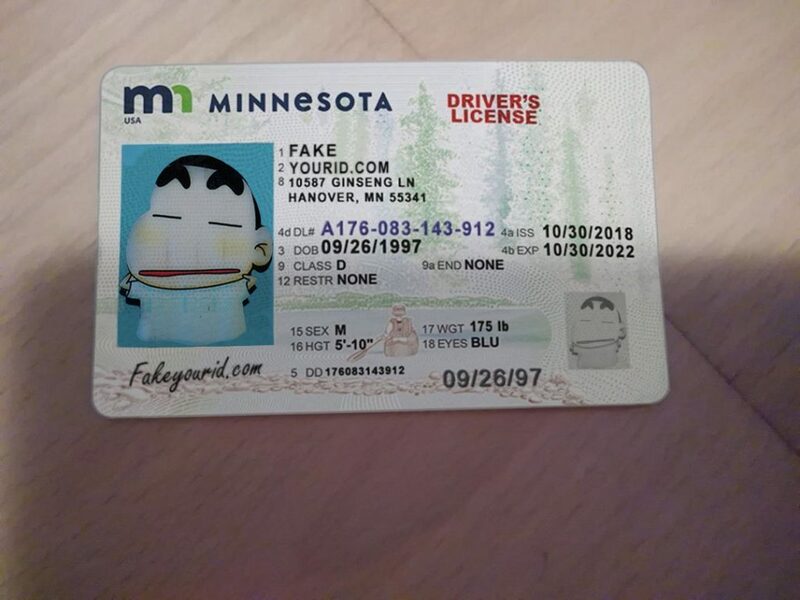 Each two out of ten orders that we receive are of Minnesota id cards. 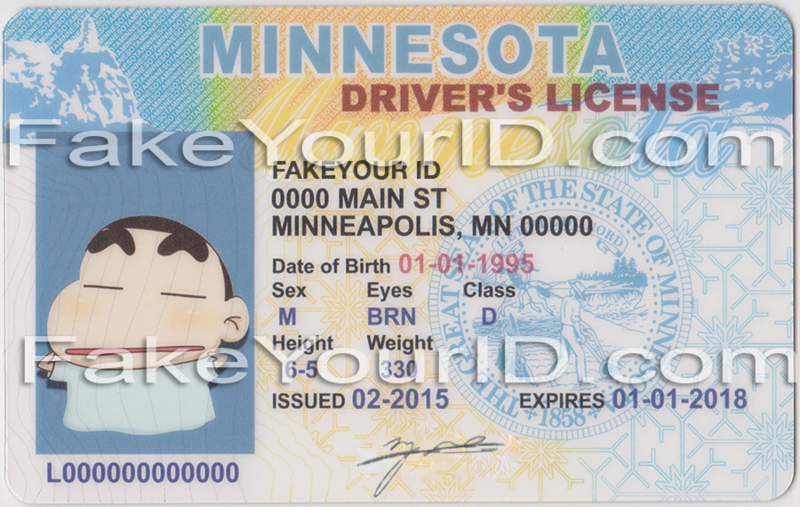 The Scanning success of our Minnesota fake id depends on a number of factors.